Designed for a build area of 300x250mm. Plate measures approx 320 x 270mm (rounded corners) Can be used with any 3d printer bed in those dimensions if you would like to use it as a removable clip down bed setup. Comes with holes designed to mount on genuine Creatbot DX & DX Plus 3D Printers. This is only the glass bed & does not include the ceramic heater plate at the bottom. You do not need a new heater if the heater is working fine - just peel the old one off & stick it back onto the new plate. Compatible with models DX01, DX02, DX03, DX-plus 01, DX plus 02, DXplus 03. Will work on new & old version machines. 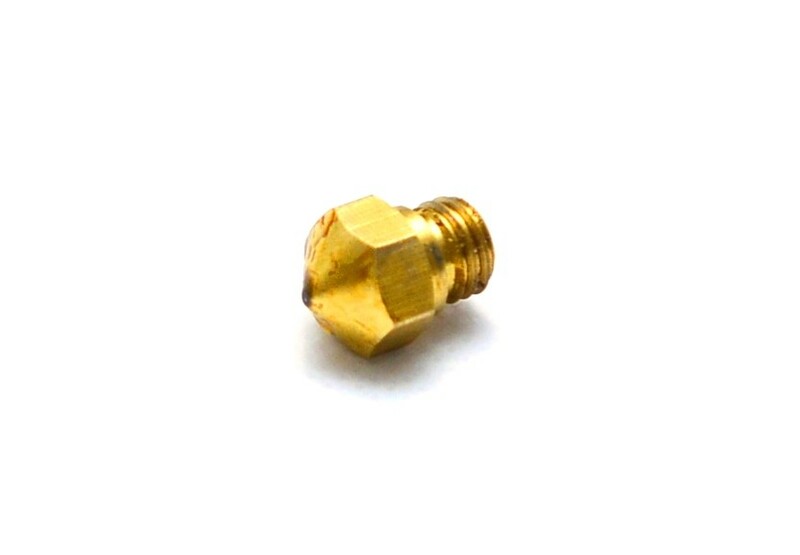 Genuine Creatbot second generation nozzle for 1.75mm 3d printers. 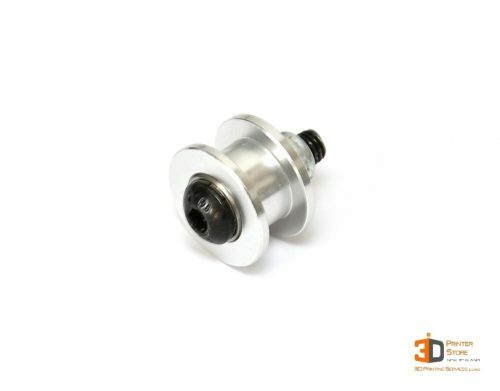 Will suit all Creatbot F series 3D Printers we sell: Creatbot F160, F160 PEEK, F430 & F430 PEEK edition 3d printers We stock a wide range of nozzle diameters: 0.3, 0.4, 0.6, 0.8 mm Please specify what size you would like in the notes, otherwise we send 0.4mm as the standard. PEI sheets are just like tape & it is perfectly ok to join 2 sheets on the bed. So even if your bed is an odd shape / size, putting the PEI tape on is not an issue. We also order custom sizes on request if you don't mind waiting 2 weeks. Please note that if a nozzle digs into the PEI it is naturally going to get damaged but it is still ok to use the sheet. They do not wear as easily as Kapton polyimide tape, PET tape, or paper tape. Eventually, when the sheet surface does wear, you can sand with 1200 grit sand paper & breathe a little more life into it. You do not need to replace PEI sheets frequently. Thanks to low cost & long lasting performance, we will soon move to PEI sheets exclusively & discontinue other expensive tapes. We recommend you increase your bed temperature around 10C more than if you were to print on some other surface. This is because all plastics are a bad conductor of heat, so your platform may reach the nominated temperature quickly before the PEI sheet gets hot through the entire thickness & glue. So your bed will read 50 C for eg, but the sheet will be at 40 C & you could experience issues with part adhesion. 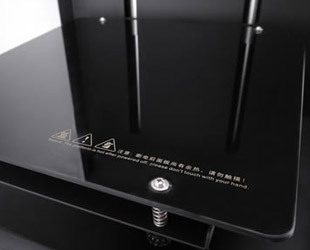 It is not mandatory to increase temps, it just helps the 3d printer bed to the correct upper surface temperature needed for successful adhesion in time. Carbon Fibre reinforced Steel board Actual board size is 490mm x 305mm Designed to fit our Creatbot F430 PEEK 3d printer but can be used in any machine of similar size. The advantage is that this surface offers very high abrassion resistance. So when you 3d print with high temp materials, the surface can last longer. The other advantage of these boards is that they can be used as removable build plates. We recommend sticking a PEI sheet on this if you want to use them in that way, as PEI is a more versatile surface & not just one for 3d printing PEEK. Please see our 400x300mm PEI sheets here. Heated Build Plate for Creatbot F-160 3D Printers with Creatbot upper mat attached. F160 3d printer has a volume 160x160x200mm though the bed is slightly larger to accomodate the high temperature heads of the F160. PEI sheets are just like tape & it is perfectly ok to join 2 sheets on the bed. So even if your bed is an odd shape / size, putting the PEI tape on is not an issue. We also order custom sizes on request if you don't mind waiting 2 weeks. Please note that if a nozzle digs into the PEI it is naturally going to get damaged. But otherwise they do not wear as easily as Kapton polyimide tape, PET tape, or paper tape. Eventually, when the sheet surface does wear, you can sand with 1200 grit sand paper & breathe a little more life into it. You do not need to replace PEI sheets frequently. Thanks to low cost & long lasting performance, we will soon move to PEI sheets exclusively & discontinue other expensive tapes. We recommend you increase your bed temperature around 10C more than if you were to print on some other surface. This is because all plastics are a bad conductor of heat, so your platform may reach the nominated temperature quickly before the PEI sheet gets hot through the entire thickness & glue. 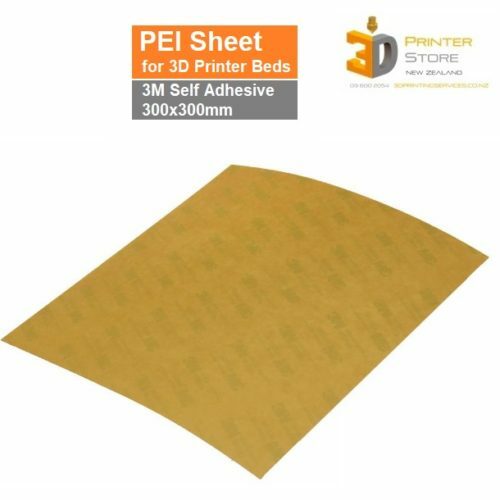 So your bed will read 50 C for eg, but the sheet will be at 40 C & you could experience issues with part adhesion. It is not mandatory to increase temps, it just usually reduces the amount of total time it would otherwise take to preheat your 3d printer to get the bed to the correct upper surface temperature needed for successful adhesion. Pulley for the belt rail system on Wanhao i3 & similar 3d printers. Will work on i3 plus as well new i3 plus mark 2. 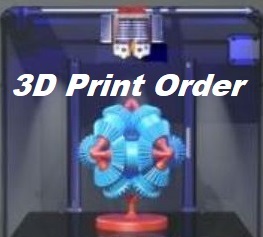 Is also compatible with many other 3d printers, but please check to be sure. 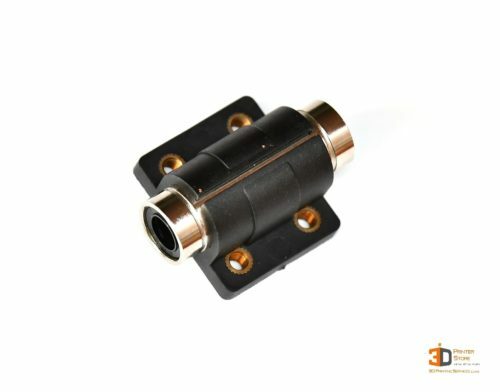 Linear Bearing with outer plastic cover & mount holes. Fit the extruder rail assembly on Wanhao i3 & similar 3d printers. Can also be used as platform bearings. Will work on i3 plus as well new i3 plus mark 2. 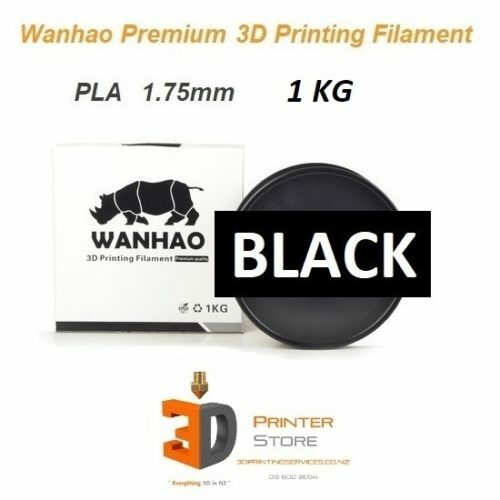 Is also compatible with many other 3d printers, but please check to be sure. This is a temperature sensing Thermocouple for Creatbot D series 3d printers. They will fit all Creatbot DX & DE machines bought since 2015. The new Orange see-through lids for the excellent Wanhao D7 machines. These lids have semi-transparent plastic strips through which you can get a quick view of the build progress. 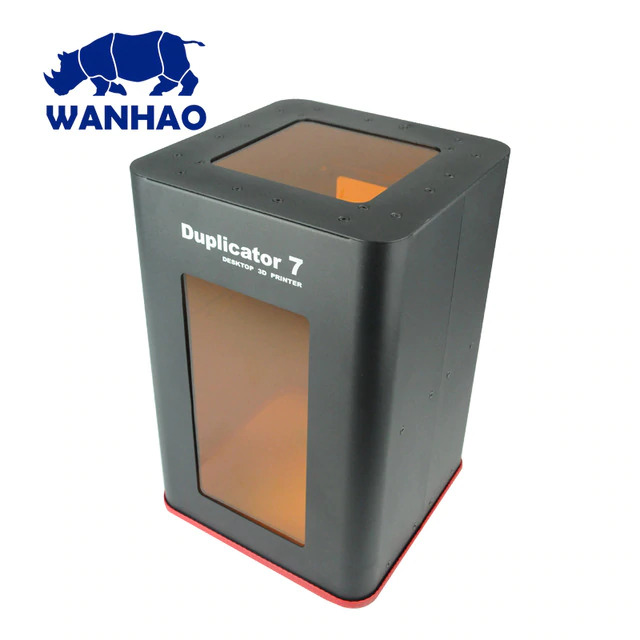 They will work on all D7 & D7 plus version 3D Printers to date. 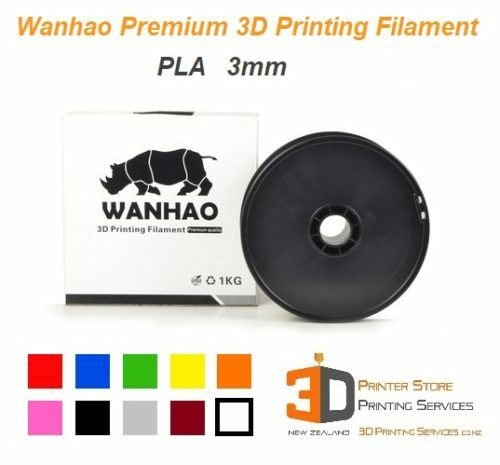 Genuine Wanhao Branded Magnetic upper Mat for use on the beds of Wanhao i3 plus mk2 3D Printers. For older version please buy the other BuildTak style bed mat. 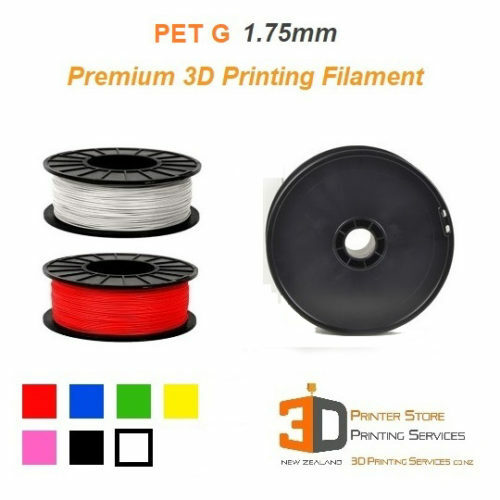 Works extremely well for most materials like PLA, ABS & PETG. 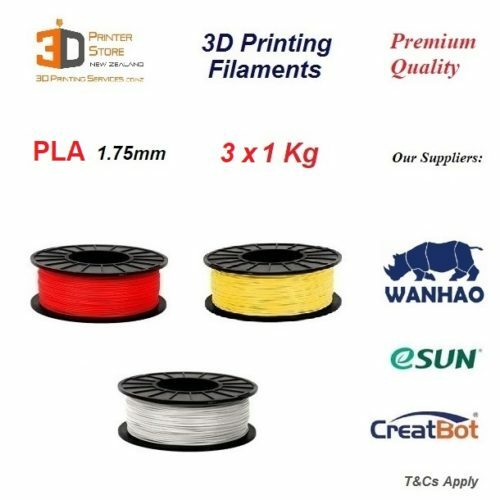 This listing is for any 1 of the many fans we sell for Creatbot & Wanhao 3D Printers. Kindly specify which fan you are after from the list below & we will send it. Creatbot D series 3d printer Fans: Extruder cooling fan Part cooling fan Board cooling fan Creatbot F series fans: Extruder cooling fan Part cooling fan Wanhao Fans: i3 plus & D4 extruder cooling fan 24V i3 plus & D4 part cooling fan 24V i3 original or V2 extruder cooling fan 12V i3 original or V2 part cooling fan 12V D4 part cooling fan D4 internal board cooling fan D7 original version cooling fan D7 versions 1.3+ cooling fan As authorised NZ sellers of all 3d printers, we stock a vast range of genuine parts for the 3d printers we sell. In order to keep things as simple as possible, we keep the price uniform across the products. In some cases, we use generic parts where authorised parts are either not available, or have been advised to do so. Some of these authorised spare parts but may be used in other generic brands of machines as well, but please research this. Please choose carefully as we do not offer exchanges on parts unless otherwise discussed. 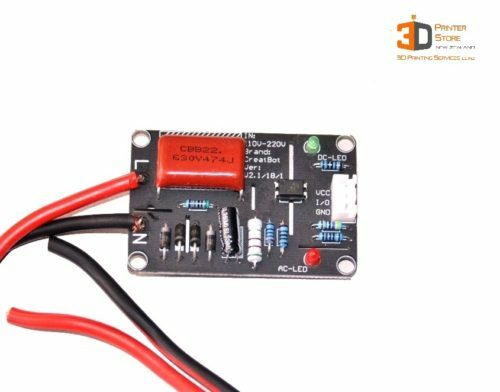 For Creatbot DM , DX / DX Plus & DE / DE Plus 3D Printers This circuit board detects if there is a power failure while your Creatbot 3d printer is printing. Then when power resumes & the printer is started, the option to resume to resume the existing print is offered. This circuit is not critical, & the printer can still continue to be used with the board's white wire unplugged. Locations where there are excessive power outages seem to cause this board to blow out more frequently than other places. This is mainly because of spikes & voltage fluctuations in such locations. 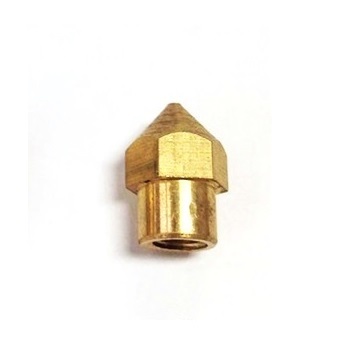 If you experience the need to frequently replace these, we recommend connecting your printer through a spike protector. 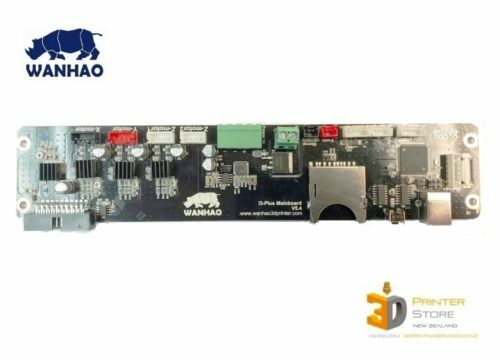 This is a temperature sensing thermister for Wanhao i3 3d printers. Please carefully specify if you want them for i3, i3 v2, i3 plus, i3 plus mk2, or i3 mini.